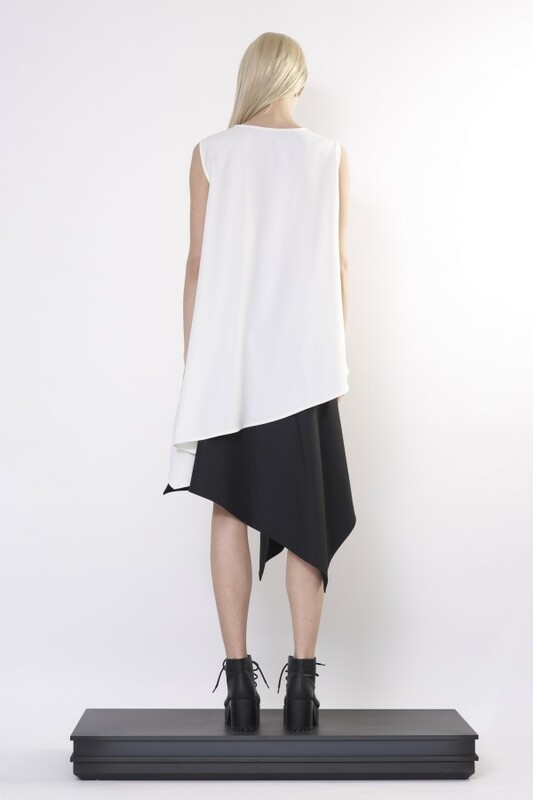 White long sleeveless blouse has a flawless silhouette , asymmetric cut which gives light and tender look. This is modern feminine top with extremely asymmetrical lower line. Prolonged left angle and flared cut allows fabric to flow in large elegant drapes and form a beautiful wavy contour. Model is 175cm/5'9" and is wearing size S.
Tailoring of this garment can take up to 1 week.